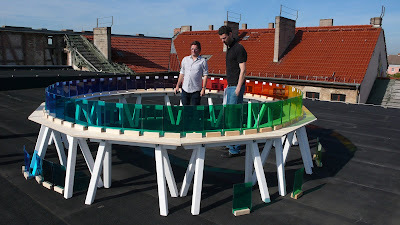 As summer begins here in the Northern Hemisphere, I offer you a bit of museum/exhibit/design inspiration that evokes light, and sun, and endless horizons: artist Olafur Eliasson's architectural installation entitled "Your rainbow panorama." 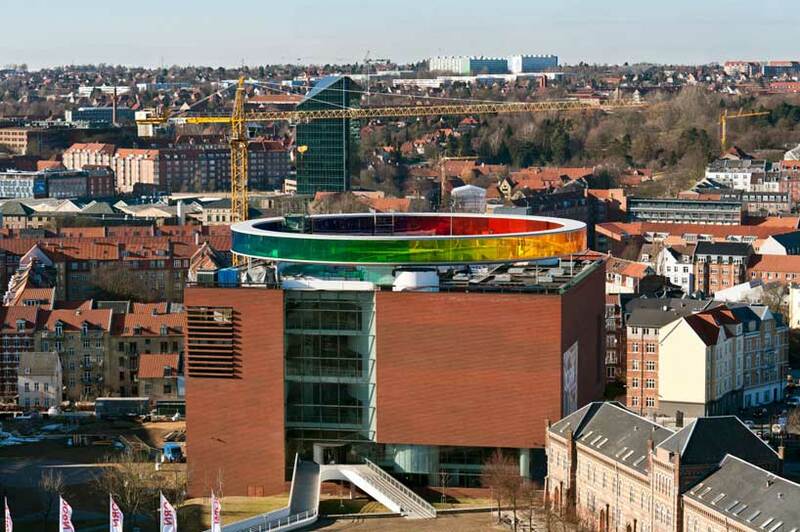 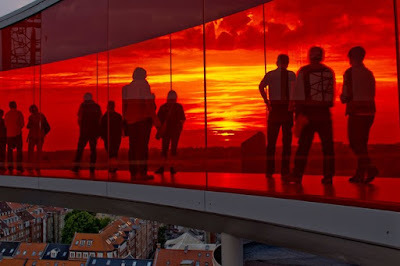 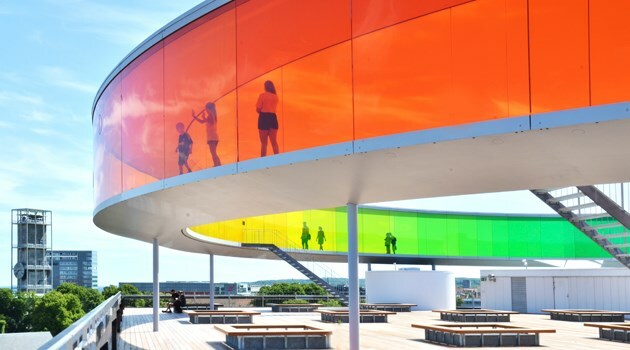 Situated on top of the ARoS Aarhus Kunstmuseum art museum in Aarhus, Denmark, Your rainbow panorama invites you to experience the familiar (a city skyline) in unfamiliar ways. 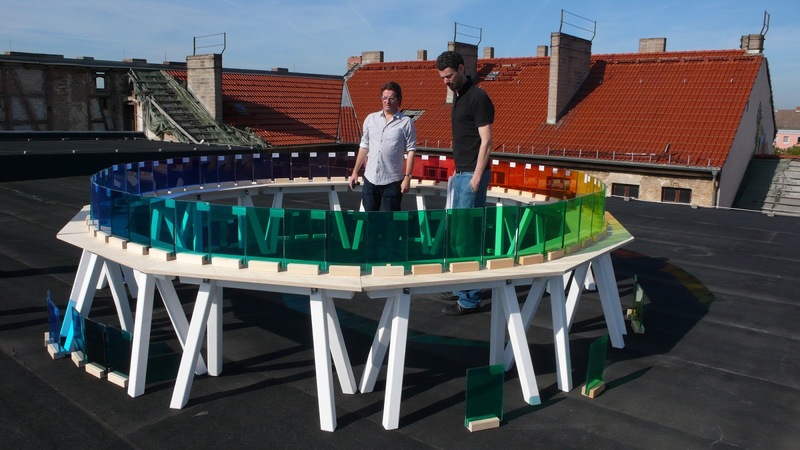 Olafur Eliasson's creation consists of a 150-meter-long and three meter-wide circular walkway in glass in all the colors of the spectrum. 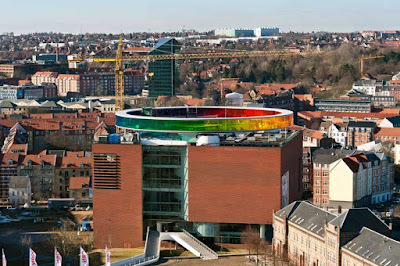 Your rainbow panorama is mounted on slender columns 3.5 meters above the roof of ARoS with a diameter of 52 meters. I hope the promise of summer and the inspiration of Your rainbow panorama opens up new possibilities in your own work and practice.